7 February, 15:00, Sede Universitaria di Sant’Agostino, Sagrestia, Università degli Studi di Bergamo: “La teoria egualitarista e gli animali” (“Egalitarian theory and animals”). Click here for more information on this event. 8 February , 19:30, Circolo No Cage, via Borgovalsugana 198, Prato: “La teoria egualitarista e gli animali”. More information here. 9 February, 21:30, Scale di Docciola, Teatro di Nascosto, Volterra More information on this event here. 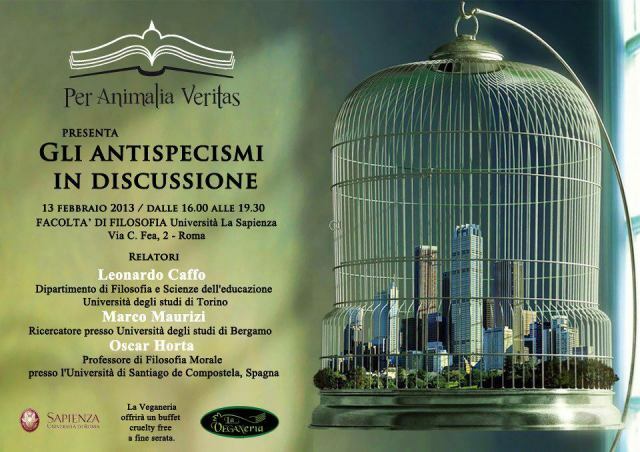 13 February, 16:00, Facoltà di Filosofia, Villa Mirafiori, Università La Sapienza, Roma: “Gli antispecismi in discussione” (“A discussion of different antispeciesist approaches”). I will speak together with Leonardo Caffo and Marco Maurizi. The event is organized by Per Animalia Veritas. More information on this event here. Thanks to all the other people who have made this possible, I’ll see you soon! A new journal on antispeciesism has appeared in Italy. Its name is Animal studies: Rivista italiana di antispecismo. You can find the announcement of the launch of this journal in the Italian blog Asinus Novus. 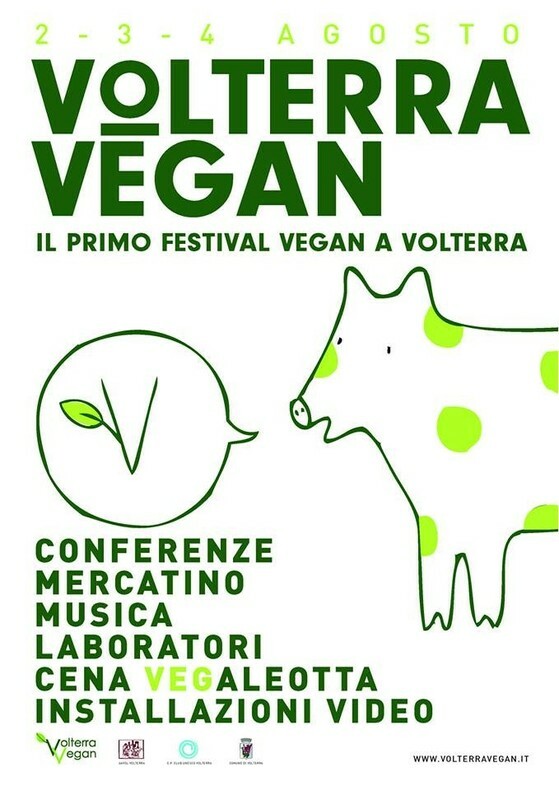 Thanks to several great activists in Slovenia, such as Sara Stuva andTeja Brooks Pribac, this week I’ll be giving two talks on veganism and animals rights there. I’ll speak about the ethics of veganism in Koper on Thu 26th at the Faculty of Humanities at 18:30 while a great vegan dinner is served. And on Fri 27th, we’ll have a meeting to discuss animal rights activism in Tivoli Park at 17:00. We’ll enjoy a nice vegan picnic there too! I must express my gratitude to Sara, Teja and the rest of the Slovenian activists who have made this possible. Thank you!